The first Church organization was a Branch of the American Fork Ward, Utah Stake, organized on March 13, 1892 by Bishop George A. Halliday, Samuel Wagstaff & Stephen D. Chipman, with Samuel A. Eastman being sustained as Presiding Elder. On June 26, 1892 a Sunday School was organized by S.S. Jones and O.H. Berg with Samuel A Eastman as Superintendent, James J. Bolin as 1st Counselor and Richie Harkness as 2ndCounselor. One week later Martha Givens was assigned to teach the intermediate class and Mary Lee Myers to teach primary, George Munns was sustained as Secretary. On June 25, 1893, Bishop Halliday of the American Fork Ward asked the Branch members if they would like to be organized into a Ward. The vote was unanimous but no action was taken. 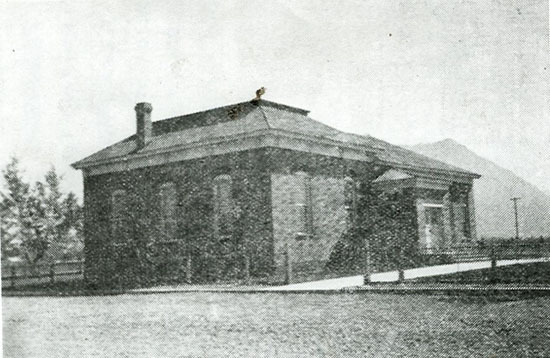 On June 26 1893 the bench was granted a voting precinct by Utah County Court & School district. George Meyers, Stephen Moyle and William Wilcox were appointed trustees. George C. Munns was appointed Constable, S.M. Groff Road Supervisor, George Meyers Registrar and Richey Harkness Justice of the Peace. On Aug 13, 1893 David John & Edward Partridge of the Stake Presidency, Bishop T.R. Cutler of Lehi Ward, Bishop Marsh and counselor Carlisle of Alpine, counselor George Cunningham and William S. Robinson of the High Council of American Fork visited for the purpose of reorganization. The people were asked to suggest the names of brethren they would like to preside. Samuel A. Eastman, Richey Harkness and Hyrum Healey were suggested and it was left to the authorities present to decide. Hyrum Healey was chosen and sustained. James F. Pulley (Pullen), Stephen Moyle, Samuel Eastman and Richey Harkness were sustained and set apart as teachers. Samuel A. Eastman was retained and sustained as Sunday School superintendent with a vote of thanks for his services as Presiding Elder. The first appearance of Highland on the Utah Stake report was Dec 31, 1893 when it was shown that there were 146 members in 27 families. There were 2 Seventies, 13 Elders, 6 Priests, 6 Deacons, 65 members over 8 years of age and 54 under 8. Hyrum Healey died suddenly on April 27, 1896. James J. Bolin replaced him as the new presiding Elder, but he was not sustained until November 2 of that year. Robert Adams Bolin was the first missionary to leave from the Highland branch-he departed October 19, 1897 to serve in the Southern States, returning April 7, 1900. There is some evidence that the Branch was disbanded in 1898 with members going to Lehi, American Fork and Alpine. Records show that James Bolin moved away in 1900 and James Copeland Orr was sustained as presiding Elder on April 29, 1900, and set apart by David John, assisted by Stephen L. Chipman and George Cunningham. That record suggests that the Branch was disbanded in May of 1906. In 1901 a division of the Utah Stake created the Alpine Stake. American Fork was divided into 4 Wards and Highland was made a part of the 3rd Ward. The new Presiding Elder, James Copeland Orr had moved from Avon, Cache County, to Alpine in 1899 to teach at the Highland school. He taught all 8 grades for approximately 8 years. His counselors were James Brown and William Loveridge. (Loveridge was the father of Hazel Buhler and Cressie Greenland). In September, 1907, O. C. Day started a Sunday School. He was Superintendent with William Westwood as Asst Supt and Charles Greenland was Chorister. The Sunday School struggled at first but attendance soon increased. Average attendance was 42 in 1909. During 1907 and 1908 several older people were baptized. By 1913-1916 the average attendance was 98. The first meeting of the Relief Society was attended by: Fredricka Strasburg, Martha Loveridge, Eliza Taylor, Rachel Greenland, Otes Day, Anna Zabriskie, Katherine Pehrson, Amelia Burnham, Martha Gillett and Alice Stice. O.C. Day of the bishopric was my wife’s father, Otes Day, RS secretary was her mother, Fredricka Strasburg, RS president was her grandmother, Clarence Greenland, SS secretary was my father, Rachel P. Greenland, in the Primary presidency was my grandmother, William John Greenland, Choir Manager was my uncle. Archie Taylor moved from the Ward and was replaced as clerk by Charles Graham on Feb 11, 1917 then on Feb 23, 1919, Bro. Graham was released and Clarence Greenland was sustained as clerk where he would serve until 1956. Bishop Zabriskie served for 5 years, then moved to American Fork. Stephen F. Beck also moved there so on July 11, 1920; Wayne C. Booth was sustained as Bishop. His counselors were Orville C. Day and William Mower. They were ordained and set apart by Apostle Rudger Clawson. On Dec 19, 1920, Brother Mower was released and William S. Greenwood was sustained. Brother Day moved to Wyoming in 1921 but I can’t find a record of who replaced him. By Jan 1, 1922 Bishop Booth had moved to Provo to attend BYU so William S. Greenwood was sustained as Bishop with George F. White and Charles M. Pitts as counselors. They were ordained and set apart by Rudger Clawson and Richard R. Lyman. On June 24, 1923 Bro. Pitts was released and Ludvig M. Larson was sustained, ordained and set apart by Hyrum G. Smith. On Dec 9, 1925 Brother White was released and on Jan 24, 1926 Robert E. Booth, father of the previous bishop, was sustained and set apart by George Albert Smith. On June 10, 1928 Brother Booth was released and Carl Emil Harry Jerling was sustained and set apart by Joseph Fielding Smith. This bishopric was stable for over 3 years. They were released on Sept 7, 1930 (Bp. Greenwood having served almost 9 years) and C.E. Harry Jerling was sustained as bishop on that date with Hyrum Groesbeck and Ray L. Alston sustained as counselors on Sept 14. Bp. Jerling was ordained and set apart by President Heber J. Grant, who attended the Sept 7 meeting; his counselors were set apart by John Wells. Brother Groesbeck lived only a short while and upon his death was replaced by Ray Alston as 1st counselor and Stephen F. Beck, who had recently returned to the Ward, was sustained as 2nd counselor on June 10, 1931. Later, Brother Alston moved away and Kenneth White was selected as a new counselor. Kenneth White was released and E.O. 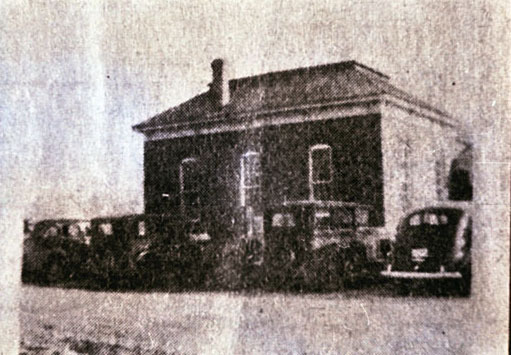 Maxfield was sustained on Jan 20, 1935. Later, Brother Maxfield was called to the Stake high council and William T. Hyde III took his place. In 1942, Stephen F. Beck moved to American Fork and his son-in-law J. LeGrand Adamson was called as counselor, then Bro. Hyde was released and David Strasburg was called. On Oct 21, 1945 Bishop Jerling was released, having served for more than 15 years, and J. LeGrand Adamson was sustained as the new bishop, with David Strasburg and Leonard Hyde as counselors. Bp. Adamson was 28 years old and was a returned missionary. Leonard Hyde had served as bishop in the Conda Ward in Idaho. David Strasburg worked at Geneva and was required to work shift work so he was released from the bishopric in 1951 and Don LeBaron, Bishop Jerling’s son-in-law was sustained. On June 20, 1953, that bishopric was released and Merlin B. Larson was sustained bishop with Don LeBaron as 1st Counselor and Glen Strasburg as 2nd. In a few months Bro. LeBaron was released because of his pressing school work (he later became Bishop and the first Mayor of Highland) and Glen Strasburg became 1stcounselor (he also became a Bishop later), Ellsworth Hardy was sustained as 2nd. Then in February of 1956 Clarence Greenland was released as Ward clerk-the only clerk the ward had had since February of 1919 (he died in June 1957). William Oscar Hayes and Jerry Pace were sustained as clerks but were both released within a few months and Melvin Robert Day was sustained. Melvin was killed in a hunting accident in the fall of 1957 and Richard Reisner and Sylvan Buhler were sustained as clerks. This was the leadership of the Highland Ward in September 1960. Bishop Larson remained in office until November 27, 1966.